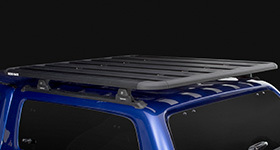 The Rhino-Rack Backbone is the next level of evolution for your four-wheel drive. Carry more gear and take your exploration to a new level. Evolution is simple. It’s a small change over time to adapt to the needs of the species. 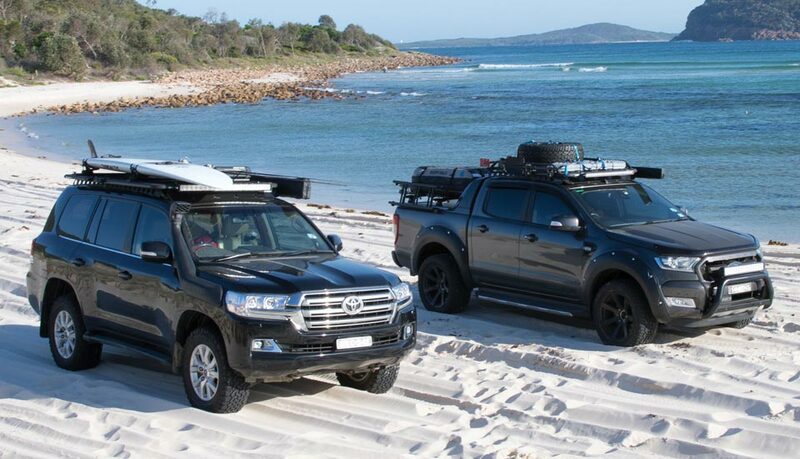 That’s what the Rhino-Rack Backbone is all about - the Evolution of your 4WD. 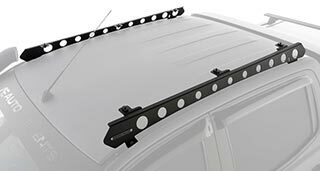 The Rhino-Rack Backbone is fitted to the factory roof mounting points or directly to the roof of your vehicle and distributes the weight of your luggage more evenly through the body of your vehicle. It’s ingeniously simple and perfectly complements our full range of Pioneer platforms. 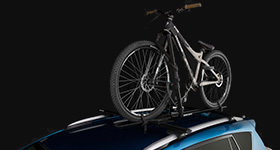 The Backbone is one concept that comes in two systems and a variety of combinations to suit your needs and preferences. 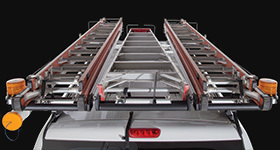 With up to 8 contact points the backbone system distributes the load over the vehicle. 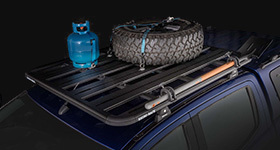 Additionally, the Rhino-Rack Backbone enables you to carry up to 331lbs/150kg on some vehicles. 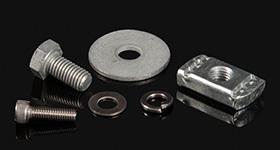 Non-corrosive made of strong and durable stainless steel or cast aluminum with a black powder coated finish to match seamlessly with our Pioneer Systems. Tested and proven. 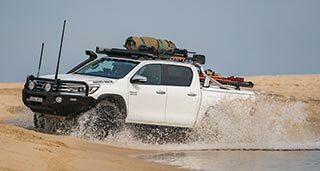 The Rhino-Rack Backbone has been tested to International Standards ISO PAS 11154-2006 Road Roof Load Carriers and Australian Standards AS1235-2000 Road Vehicle Roof Bar Testing. This is a product you can depend on from a company that you know and trust. 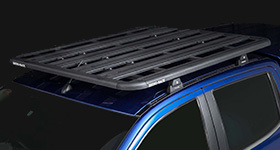 With more than 22 years in the industry, Rhino-Rack has been TRIED, TESTED and OFF ROAD PROVEN. Our name, like our products, is synonymous with strength and the survival of the fittest. We know appearances aren't as important than function, however, both are desirable. 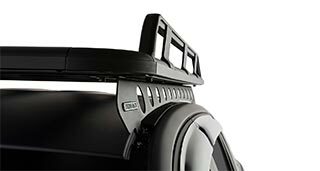 The Rhino-Rack Backbone is designed to provide the maximum load carrying capacity for your vehicle while enhancing its aesthetics. 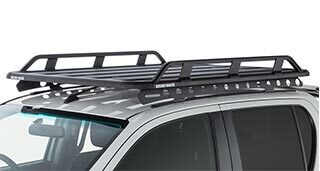 It’s bold, solid construction makes for a striking appearance that is guaranteed to turn heads; and give you complete confidence that this system will go with you and your vehicle anywhere, and take on any challenge you throw at it.